Abbott’s response made Thomas smile. He noted that the Texas Republican party platform expresses a desire to abolish abortion, and that lawmakers planned on putting forward a bill that would make abortion illegal in the state. 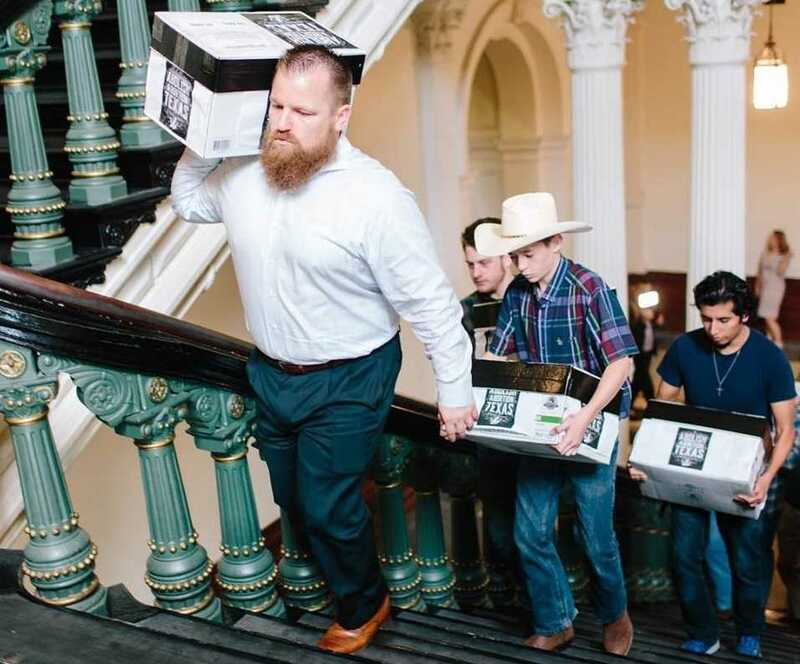 The legislation referenced by Abbott is that of Rep. Tony Tinderholt, R-Arlington, who similarly presented a bill in 2017 to abolish abortion, but it was stalled by the speaker of the House. Tinderholt has re-filed his bill for the 2019 legislative season. Tinderholt told reporters upon first filing the measure that the bill is in response to language in the Texas Republican Party platform, which was passed in May 2016, calling for the complete abolition of abortion in the state. “We call upon the Texas legislature to enact legislation stopping the murder of unborn children; and to ignore and refuse to enforce any and all federal statutes, regulations, executive orders, and court rulings, which would deprive an unborn child of the right to life,” the platform text reads. However, during his state of the state address on Tuesday, Abbott did not mention the issue of abortion at all, but according to the Dallas Morning News, he rather chose five other focuses for his emergency items: school finance, teacher pay, school safety, caps on property tax increases, and improving state response to natural disasters in light of Hurricane Harvey. “He said today that Texas is the most powerful state in the Union. While the governor of New York is leading the country in hating the lives of the unborn, the governor of the most powerful state in the Union …. is leading the nation by leading us in doing nothing to save those lives of the 55,000 preborn children in Texas and the million children in this country who are being killed every year,” he said. Pierce expressed a hopefulness that the governor would still get behind Tinderholt’s bill in some way, and added that his hope is not in man, but in God.